Work for ZyLAB ONE eDiscovery? Learning about ZyLAB ONE eDiscovery? "ZyLAB One is a super end to end solution that is moving with our clients ever increasing needs "
We need a solution that is intuitive and one which end users are comfortable with who can also can get up to speed on quickly. The ability to manage any investigation end to end give our client the assurance that their data is being processed once and not multiple times. Furthermore, redaction functionality is improving all the time with ZyLAB One and for SARs, FOIs and discovery this a real practical problem our clients and ZyLAB One lifts the burden dramatically. We provide solutions predominately around Internal Investigations, eDiscovery, Subject Access Requests (SARs), Data Access Requests (DARs) & FOIs. "Excellent e-discovery software for corporates"
ZyLAB ONE is very easy to use eDiscovery software. It allows our organization to respond to eDiscovery requests much faster and more cost effective than we could do in the past. We also use ZyLAB to manage our contracts, and large files related to insurance claims. We acquired ZyLAB for eDiscovery (for which it is perfect), but now we also use it for a variety of other business cases. Even for those, there is very little we miss. You should sign up for a trial. This is for free. The software is extremely easy to use. In addiition, it has many powerful features. eDiscovery, inparticular responding to ediscovery production requests. In addition we use it to manage our contracts and other legal documentation such as insurance claims. We also started using it to archive email from ex-employees in our legal and finance department. "ZyLAB ONE eDiscovery is of great help to get our corporate and M&A teams quickly up to speed!" Praise for its simplicity to find, collect and categorise data that is crucial to a matter. An option to be able to create (custom) status reports would be very helpful; from what I have understood, this is currently under development. If you or your company is in need of a powerful, but simple to use eDiscovery tool, please consider ZyLAB ONE. In our daily work, ZyLAB ONE has helped us with multiple large transactions. It enabled us to find relevant information faster as well as reducing costs and increasing quality. eDiscovery, when you need to review a large data set to categorize documents into a number of categories such as responsive or not responsive for a set of claims or topic with high degree of accuracy. ZyLAB eDiscovery is very easy to use, ZyLAB eDiscovery makes archiving easy, one of the amazing features of ZyLAB eDiscovery is: Auto Redaction. status reporting and duplication levels. It has been used to manage the contracts and other legal documentation such as claims. "Great technology, very powerful auto redaction for investigations and GDPR compliance"
Auto redaction, very powerful search and analytics, easy of use for investigations, ediscovery and GDPR compliance. Great support, fast evolving features, highly scalable for large and complex data sets. Nothing, the products does everything we need. Support does everything we need and we get more than we need. 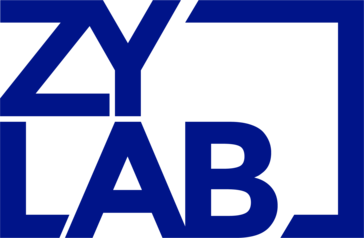 Take a close look at the training videos on the ZyLAB Video portal. There are many features you are probably not even aware that this type of technology existed! investigations and GDPR compliance. We have reduced time, we found important facts that we would otherwise never found. In a fraction of the time it took us in the past with a smaller team. "Highly efficient and cost-effective document review and analysis "
The ZyLAB software is very user-friendly and easy to use, also for legal professionals with little software using experience. The ZyLAB software makes it possible for us to classify a huge amount of documention within a short time. The flexibility of the staff and the responsiveness is great. Although the creating of matters and queries is fairly easy, it still can be a challenge sometimes. However, support staff is always available to help through the process. Classifying documentation and redacting services. * We monitor all ZyLAB ONE eDiscovery reviews to prevent fraudulent reviews and keep review quality high. We do not post reviews by company employees or direct competitors. Validated reviews require the user to submit a screenshot of the product containing their user ID, in order to verify a user is an actual user of the product. Hi there! Are you looking to implement a solution like ZyLAB ONE eDiscovery?